Nothing but time can heal broken hearts, but there are some salves that can at least help bridge the gap between a breakup and happier times. 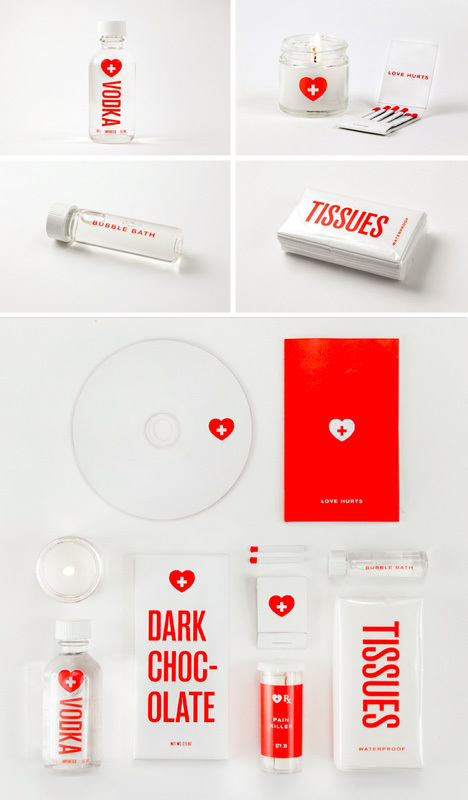 That is the idea behind this half-serious (and currently conceptual) relationship survival kit titled Love Hurts by New York graphic, product and packaging designer Melanie Chernock (images by Luke Nilsson). 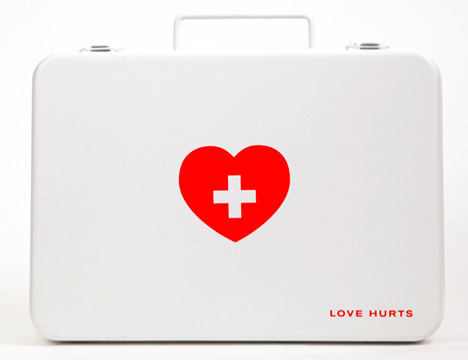 Modern minimalist gift box meets traditional metal medical case in the simple red-and-white-themed design. 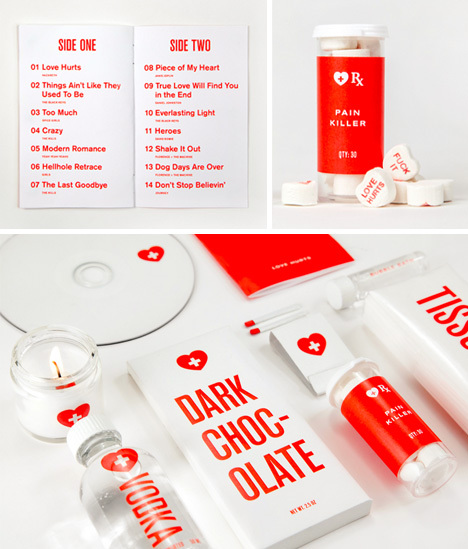 The contents are a combination of cute, cliche and pragmatic – really, no one should have to go through the end of a long-temr relationship without access to chocolate.